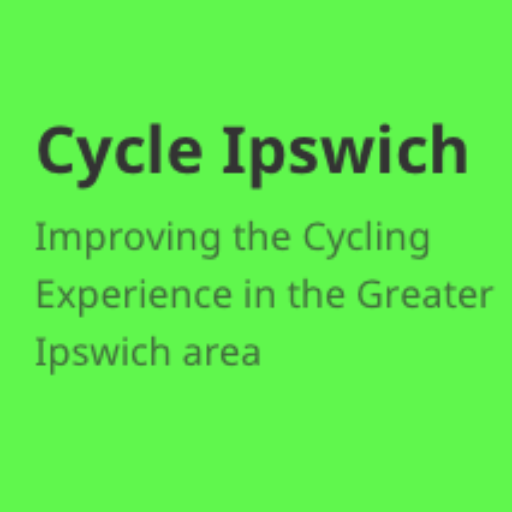 There are plans likely to be revealed by Suffolk County Council which include some bus stop bypasses so that cyclists and buses don’t end up in conflict, especially when overtaking each other. This page is to document examples that already exist. Clicking images will take you to a map view (with Mapillary you can click the little triangle and it will play the image sequence as though you are riding along). 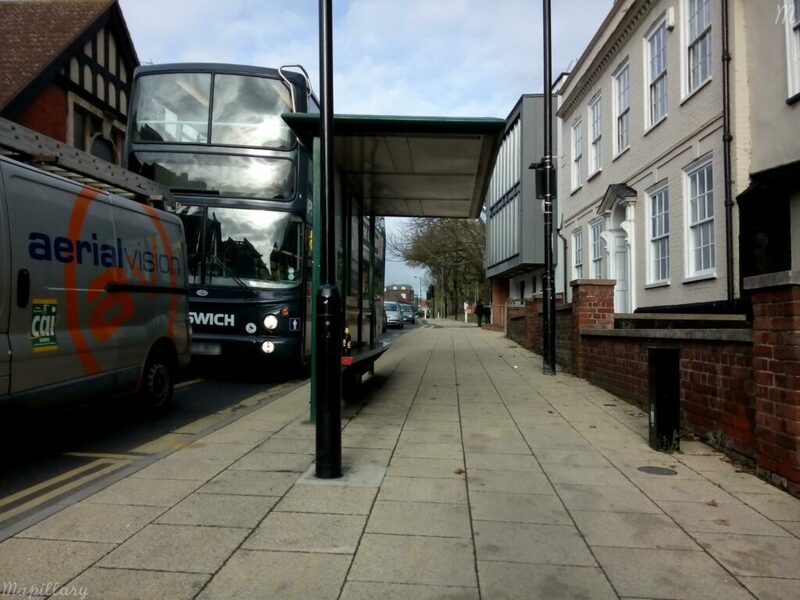 There are several examples in Ipswich where cyclists are on the pavement at bus stops. Bus stop on London Road where cycling is allowed on the pavement. 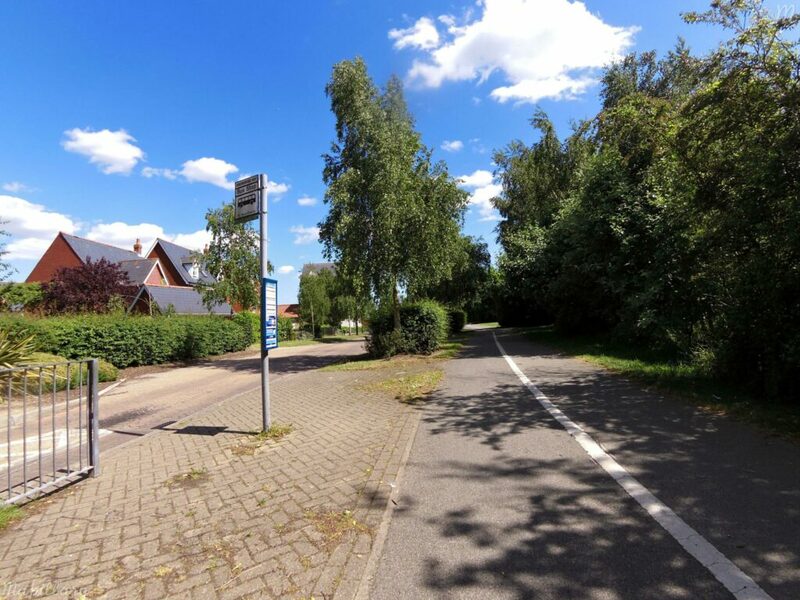 Bus stop on National Cycle Route 51, on Braziers Wood Road, where cyclists go between the bus shelter and the kerb. 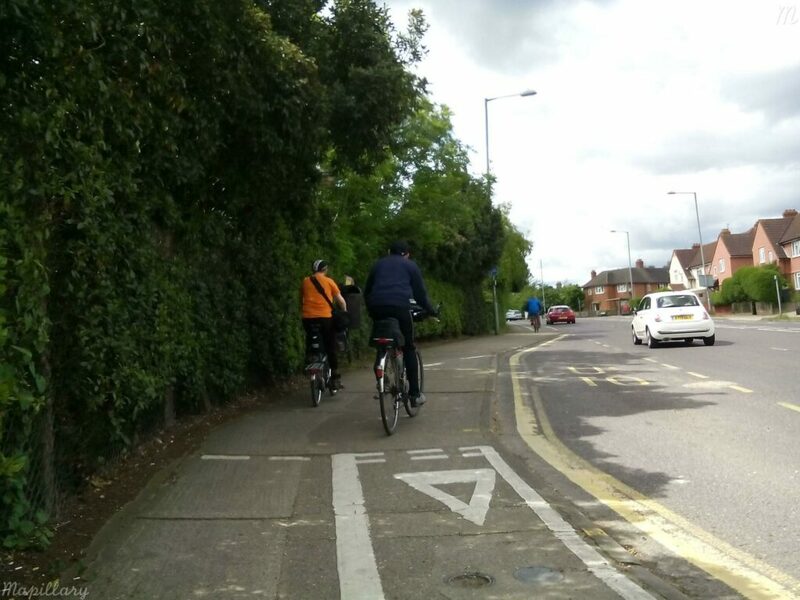 The cycle path here is on the narrow side for a two way cycle path, and is about the minimum needed for a one way cycle path. Bus stop beside on the bus gate by Ravenswood is also on National Cycle Route 51. 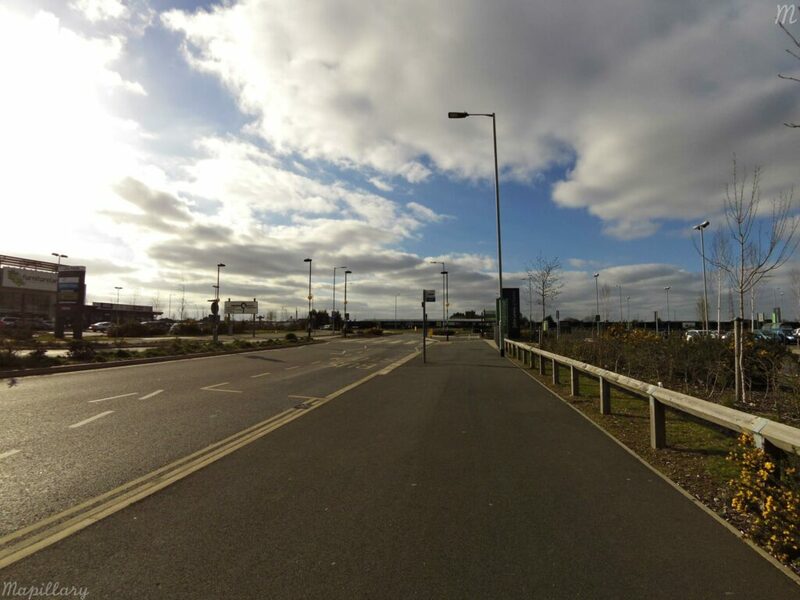 There is an area between the bus gate and the cycle path for passengers to wait for the bus and also so that bus passengers can get off the bus without stepping directly into the cycle track. The cycle track is not wide enough for 2 way cycle traffic, and often has problems of pedestrians walking on the unobvious cycle side. 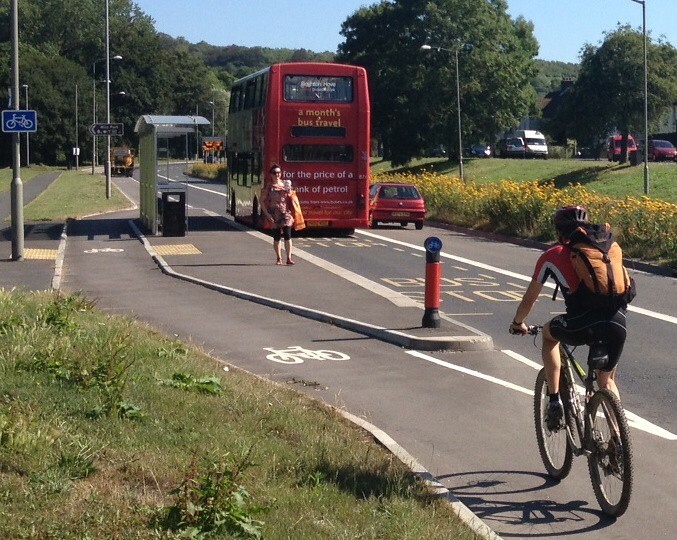 The cycle track is far preferable to cycling on the road, especially with children. Grimwade Street allows two way cycling on the pavement, including past the bus stop. This is a useful link between the waterfront (neat the university buildings) and National Cycle Route 1, giving links to the town centre and out east and north from the town (potentially as far as Shetland or John O’Groats if you follow the signs far enough). The new bus stop in front of John Lewis has cyclists passing in front. There is no shelter currently. There is a website dedicated to highlighting floating bus stops in London. 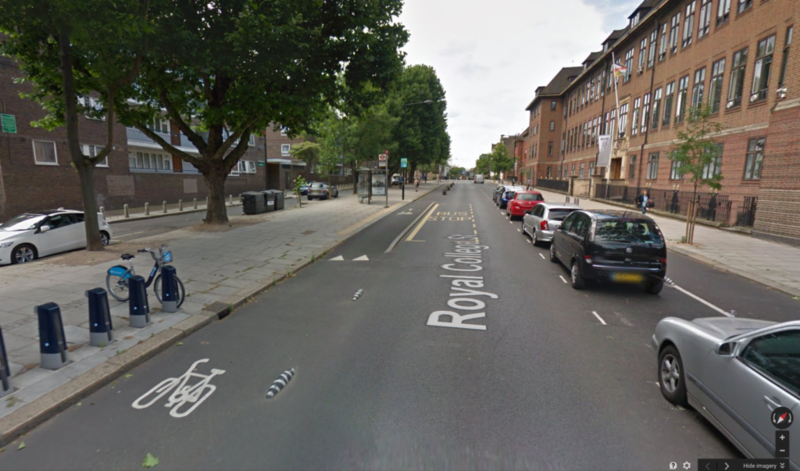 Royal College Street was upgraded in 2013 from a 2 way off road cycle track to 2 one way cycle tracks with light protection between cyclists and car drivers. At bus stops cyclists rise up to pavement level and are give way to passengers getting on and off buses. 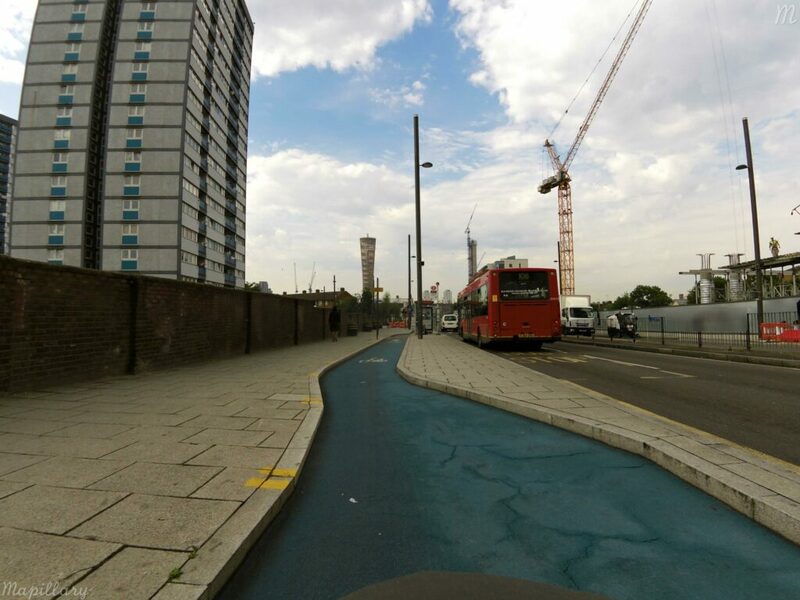 When Cycle Superhighway 2 was extended from Bow to Stratford, TfL built it as a protected cycle track, with islands for the bus stops (otherwise known as floating bus stops) so that bus users can wait safely and don’t get run over by cyclists on getting on and off the bus. This design also minimises the need to cyclists to slow down. 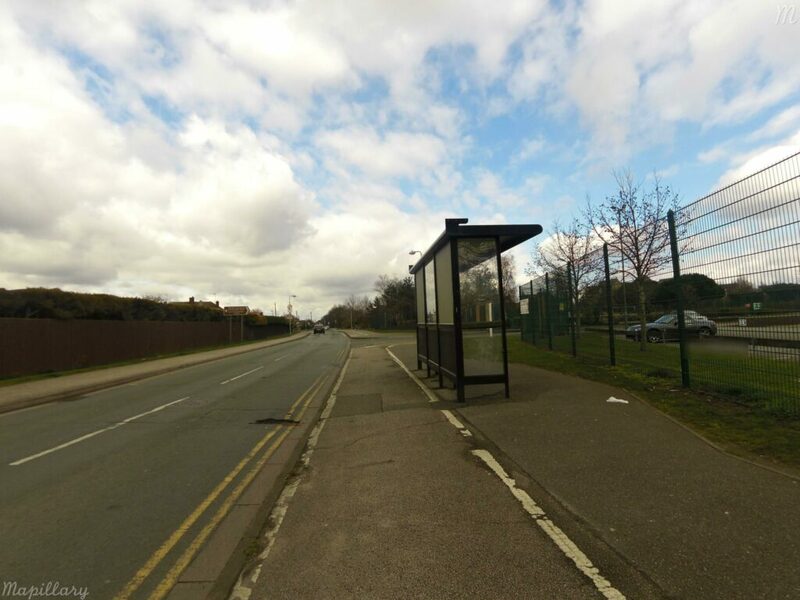 A major upgrade was completed in September 2013 to create a cycle lane between the grass verge and the bus lane, with the cycle lane going behind the bus stops, (aka floating bus stop) thus making it significantly safer for all road users. The Cycling Embassy of Great Britain has an article explaining floating bus stops and Copenhagen-style bus stop bypasses.